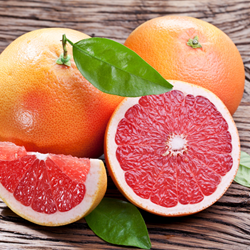 Brookhaven Retreat ® LLC, a unique residential treatment facility exclusively for women with mental health and/or substance abuse issues, celebrates National Grapefruit Month in February by sharing information about the health benefits and cautions regarding grapefruit and how it interacts with certain prescription drugs. Brookhaven Retreat ® LLC observes National Grapefruit Month in February by sharing information about the health benefits of grapefruit, such as that grapefruit vapors can help the body retain water such as for dehydration, stress and depression, as well as caution regarding interaction with certain prescription drugs. According to WebMD, grapefruit has many uses in various forms, such as grapefruit seed extract, which can be applied to the skin to clear mild irritations. It can also be used as an ear or nasal rinse for preventing infections, as well as a gargle for sore throats since it is used to kill bacteria and fungus, parasites and mold. When eaten or juiced, the following nutrients are contained, including vitamin C, fiber, potassium, and pectin, to name a few. Some components are said to also contain antioxidants to help protect cells from damage, to reduce cholesterol and aid in weight loss.